I heard about essential oils for almost 2 years before I bought them. Being in the online world, you can’t avoid hearing about them! Pinterest, blog posts, and instagram accounts are flooded with the latest *hip* uses of them. When I visited Candace in LA, I remember her pulling out a few bottles and putting them on. It was the first time I used them. A little skeptical, I was still intrigued. So when my friend and photographer, Christina, approached me about them in September 2014, it wasn’t a hard sell. I was ready. “Essential oil is the “lifeblood” of a plant because the oil protects the plant from disease, provides nutrients and helps to repel insects. Essential Oils were mankind’s first medicine! Because really, since God created plants in the beginning of time, oils have been used for healing and anointing all throughout Scripture. Today, they are still used to bring health and healing to the body (physically, spiritually, mentally and emotionally.) Essential oils can be found in the plant’s flower, stem, leaves, bark or fruit. Essential oils are very complex containing hundreds or thousands of different chemical compounds; this is what gives each plant its unique healing attributes and characteristics. They are quickly absorbed by the body when applied topically. The oils work on every system in the body on a cellular level to assist in the elimination of toxins. The fragrance of the oils works on the limbic system in the brain where emotions are stored. Essential oils can help release emotional trauma, relax and clear the mind. Why choose Young Living when there are so many other companies out there to choose from? And let’s be honest, some of those companies are cheaper. This is one of those cases where you get what you pay for. You absolutely can get a $5 bottle of oil but beware, you’re getting an inferior product. When it comes to oils that I would be using daily around my children and pets I wanted to know EXACTLY what I was getting. We care about what we’re putting IN our bodies so shouldn’t we care just as much about what we’re putting ON our bodies? Young Living is the only company out there that has the Seed to Seal promise. What does that mean? Simply put, Young Living controls every single aspect of the production line. They own their own farms. They plant their own seeds. They cultivate their own crops. They oversee everything from planting to bottling. They can say with a 100% guarantee that they know what is in those precious little bottles and that they are 100% pure. Seeing as that I’m putting these products on the ones that I love dearly, that guarantee is worth way more than $5 to me! The kit comes with a diffuser (you choose which one! ), 12 of the most popular oils, a roller, samples, and awesome literature! Plus a goodie bag with all of the essential tools you’ll want/need to get started using your oils the easiest and best way possible!! Thieves Vitality – the healthy-keeper. It helps kill airborne yuckies, boosts immunity, makes our digestive systems work their best, and is just the greatest. Raven – cleansing and one you will LOVE! Soothing blend of ravintsara, lemon, wintergreen, peppermint and eucalyptus radiata. Great one to use to make DIY chest rub to apply nightly before bed! Cleansing and clarifying! 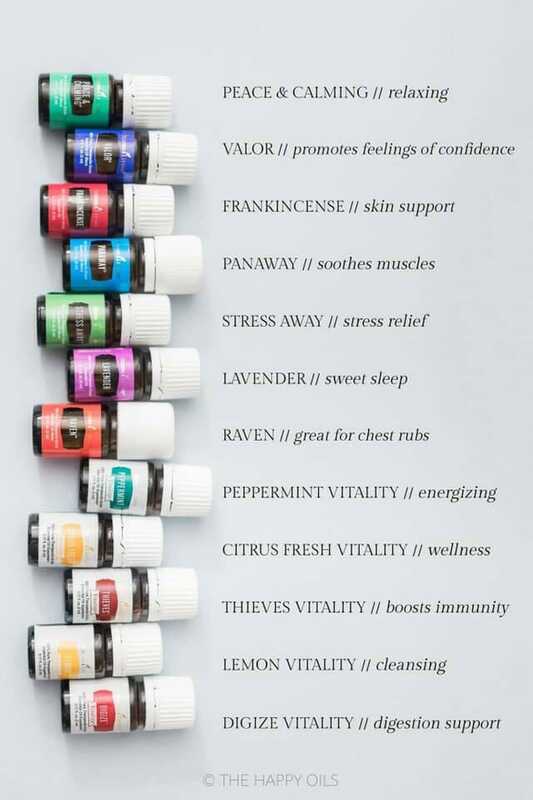 Valor – blend of some pretty fancy and expensive oils ( a great way to get your daily frankincense in for cheap!). Referred to as chiropractor in a bottle because of how we it aligns our bodies and minds. Stops pesky snoring by putting 1 drop on the big toe.. thank me later! Promotes feelings of bravery. Helps with occasional soreness! Also, it is the most gorgeous blue color!!! Peace & Calming – sweet blend of ylang ylang, orange, tangerine, patchouli and blue tansy. Diffuse this oil to freshen the air, apply to bottoms of feet before bed. Add 4-5 drops to 1 cup epsom salt for calming bath. Citrus Fresh Vitality – invigorating blend of grapefruit, orange, tangerine, mandarin oranges and a hint of spearmint. Your odors will thank you! 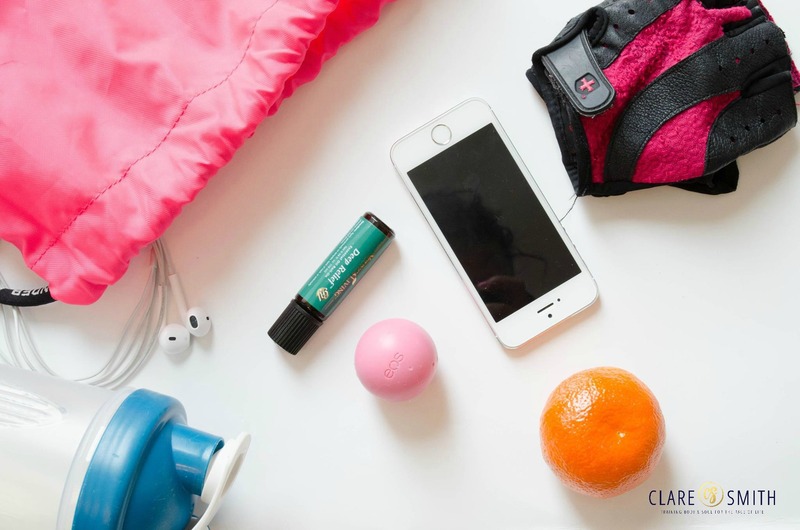 Place a drop of citrus fresh on a cotton ball and throw in a trash can, shoes or anywhere with a stale smell! Place a drop in your water for a refreshing and detoxifying beverage or add a drop to your daily dose of Ningxia! Lemon Vitality– naturally highlights hair, maintains energy levels, helps oily skin, calluses, cellulite, detoxing your body. The works! Peppermint Vitality – helps me enjoy springtime outdoors, Soothes occasional head discomfort, supports digestive system, promotes proper nasal and respiratory function! I’m obsessed. 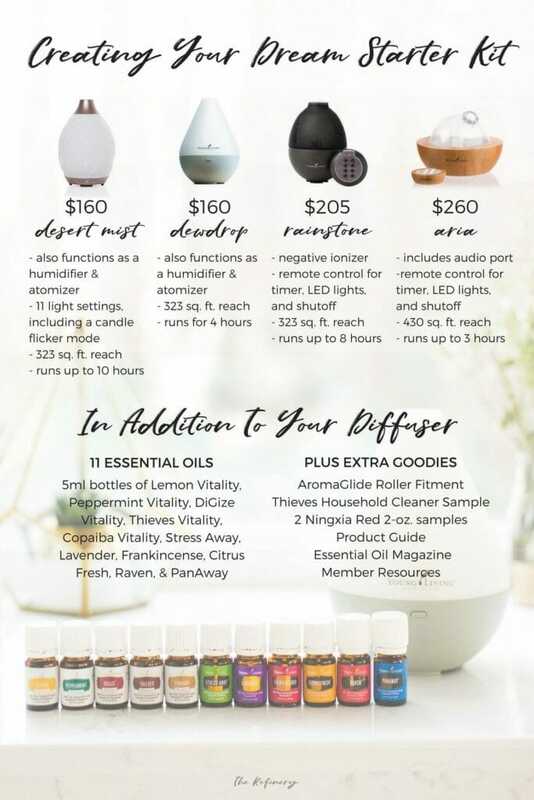 If you are interested in purchasing single oils, then you can send me an email and I can help you out from there, however, if you want to dive head first, then the premium starter kit is the way to go! You get to order it all yourself, so here are the easy to follow instructions! Follow the process all the way through to the end, where you will receive a confirmation email! Let me know if you don’t get that order confirmation email for any reason.